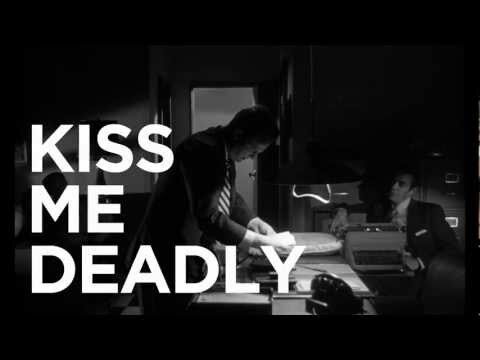 Proof of Concept: A Santa Cruz Classic Film Series continues our February series 'Noir Plus Ultra' with _Kiss Me Deadly_, directed by Robert Aldrich and starring Ralph Meeker. You’ll need to see _Kiss Me Deadly_ to believe anyone actually made it; or indeed to believe the 1950s were capable of something so brutal, so absurd, and yet so immaculately crafted -- this film is American cinema's first great grappling with Pop Art. The heightened tensions of the early Cold War era, along with director Aldrich's florid-and-then-some sensibility, warped every aspect of the production; the ensuing film is mean, poetic, elemental, brimming with midcentury Los Angeles, and totally bonkers. After beginning with a young Cloris Leachman in one of the most shocking cameos of all time, it ends... well, let's just say mythically proportioned evil can spring from some terrifyingly mundane places. And none of this is to forget the indelible work of Ralph Meeker, Maxine Cooper, and Gaby Rodgers -- Noir's greatest B-team. We hope you can join us for this thrillingly weird masterpiece!